There are a multitude of ways you can contribute to Iona Preparatory School. Let us help you find the one that best meets your desired impact and comfort level. 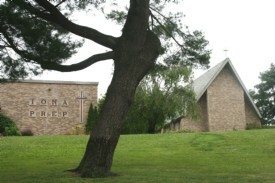 Gifts to The Fund for Iona Prep are donations from alumni, parents, grandparents, foundations and corporations to assist in meeting Iona Prep’s operating expenses. Your gift provides much needed financial assistance to ensure that access to an Iona Prep education is available to all eligible students. In addition, annual fund gifts bridge the gap between tuition and the actual cost to educate our students, keeping tuition increases to a minimum. It also supports the budgets for many valuable programs on campus that makes the Iona experience truly unique. Please consider joining one of Iona Preparatory’s distinguished giving societies. For more information or questions about annual giving, please contact Fund for Iona Prep Director Kara L. Brennan P'20 at (914) 600-6190. Once you transfer your securities, please contact Chief Advancement Officer Mark E. Hogan LS’87, US’91 at (914) 600-6158 notifying him of the date and time of the transfer so that he may relay that information to our broker. Please be sure to check with your tax advisor first regarding any transfer of securities and deduction information. Capital Gifts are larger and generally given over a period of years. Capital gifts support both endowment and capital projects and serve as our “savings account.” Capital gifts are vital to the school’s ability to maintain it’s position in the marketplace by attracting and retaining the highest quality faculty, offering a program which is continually evaluated for its relevance and effectiveness, providing the funds to maintain a state-of-the-art campus and increase the school’s endowment. Planned gifts range from life-income gifts, to bequests, to creative arrangements using retirement-plan benefits. Some people choose to make either an outright or deferred gift of assets such as stocks, bonds, and property. Making a planned gift may allow you to give more than you ever thought possible and, at the same time, benefit from tax advantages or income for a term of years or life. Please see Planned Gifts section of our web site for additional information. Will your employer match your gift to Iona Prep? Is your employer one of the over 720 companies who will match your gift to Iona Prep? 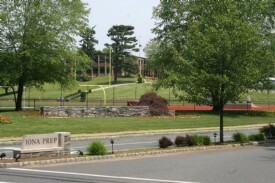 Many participating companies will match the number of dollars (sometimes up to three times) given to Iona Prep by their employees, spouses and/or retirees. Donors receive credit for both the original gift and the amount of the match. Check with your personnel/human resources office for a matching gift form, or see if your company is listed in our directory. Iona Prep provides the opportunity to remember or honor a person or family by establishing an endowed fund in their name(s). There is a minimum amount needed to be donated to initiate such a fund. The purpose of the fund can be for any need of the school such as scholarships, financial aid, technology, faculty development, facilities and specific programs. The principal amount donated to the endowment fund is invested; only a percentage of earned income will be used for scholarships, faculty salaries, benefits, professional growth, and facilities. Endowments are perpetual. The larger the endowment, the more income Iona Prep will have to support our various funds. Each year, Iona Prep will typically use 5% of the principal of the endowed fund to provide a greater opportunity for the students. The remaining balance will grow in an investment according to the investment policies of the Board of Directors. The endowed fund will therefore exist in perpetuity in the honor or memory of the person or family of your choice. For additional information about making a gift to Iona Prep, please contact Chief Advancement Officer Mark E. Hogan LS'87, US'91 at (914) 600-6158.